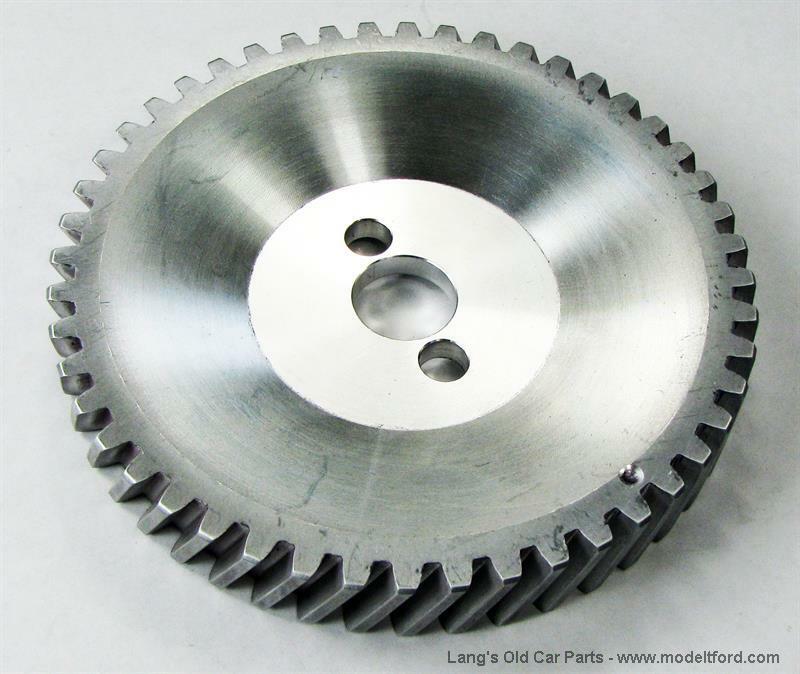 Camshaft Large timing spiral cut gear, Aluminum, excellent for T engines, especially cars with generators that are used a lot. .005 oversize. 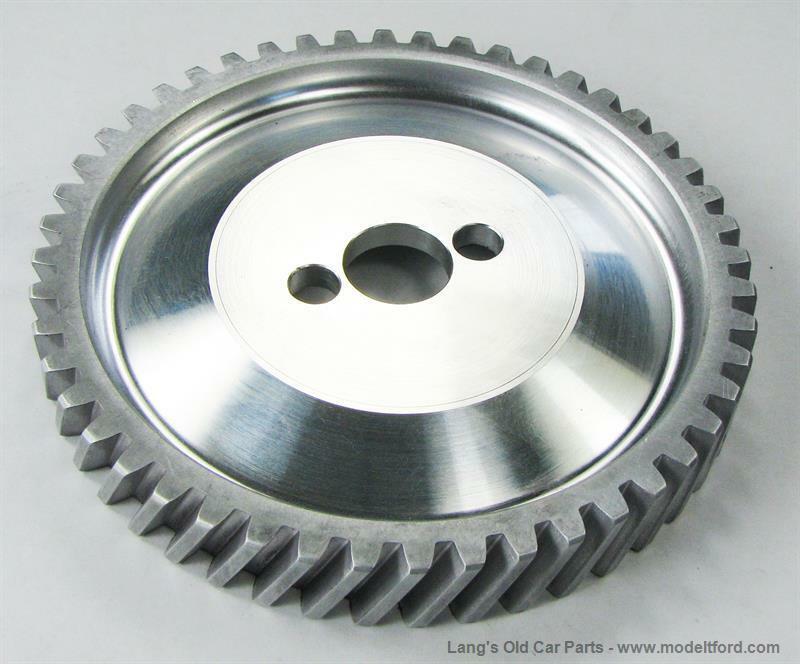 If you are only replacing your large timing gear, you probably will need this oversize gear. 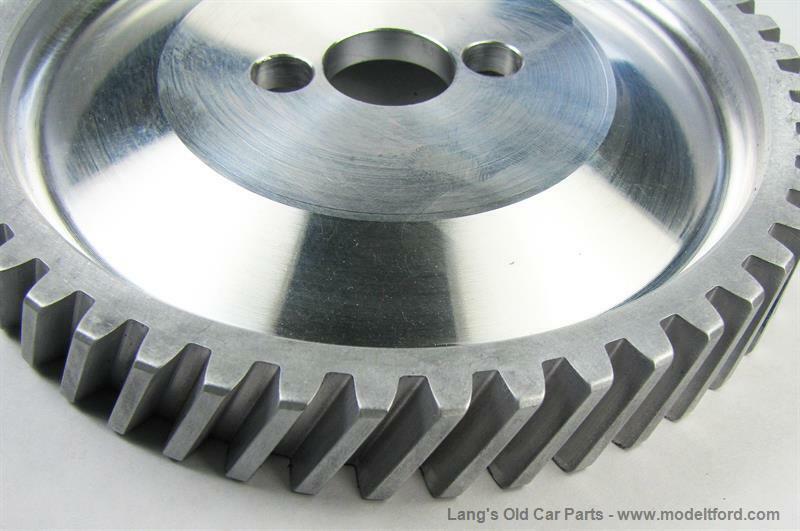 It the gear lash between the gears is too great it will cause both gears to wear much faster. NOTE: It is recommending to change both the large, 3047BA, and small timing, 3048BQ, gears when rebuilding a motor.